Lucy started training with Chris in 2014 before starting University. She wanted to increase her fitness levels and lose some body fat to help boost her confidence and energy levels before going into this new chapter of her life. Lucy is a keen sportswomen but struggled to keep her weight under control. 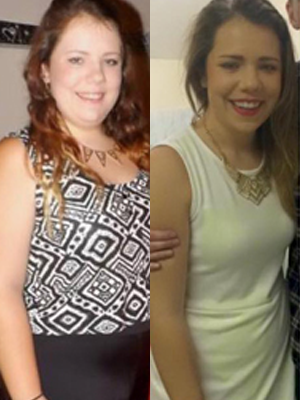 With guidance from Chris on her nutrition and her training she has managed to lose over 3 stone and increase her fitness levels dramatically. Lucy has achieved this by including resistance workouts amongst her training and by eating a more sensible diet. She has increased her muscle mass which has helped her to lose weight, gain fitness/strength and she is really seeing the benefits. She now trains regularly in her local gym and also does regular 5k runs. Her sessions are always kept between 30 minutes – 1 hour to fit around her study schedule. She keeps in check by seeing Chris when she is on breaks back home during the holidays and they also keep in regular contact.